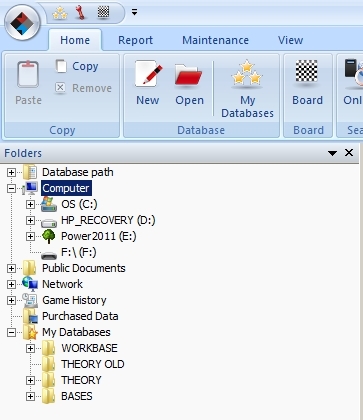 If you’ve had experience using any version of Fritz Powerbook (updated annually for many years now), you already know that it’s a valuable research tool; you can step through a “tree” of opening variations and see a statistical breakdown for all of the millions of positions which are in that tree. You likely also know that using Fritz Powerbook as an alternative opening book for any of the Fritz “family” of chessplaying programs (Fritz, Rybka, etc.) 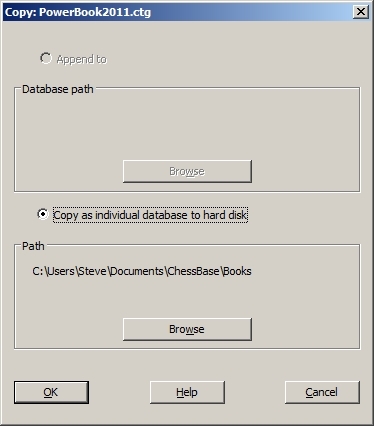 provides the chess engine with a much broader range of openings than the default book which comes with the program. What some users don’t know is that it’s advantageous to access Powerbook from your hard drive rather than directly from the DVD. 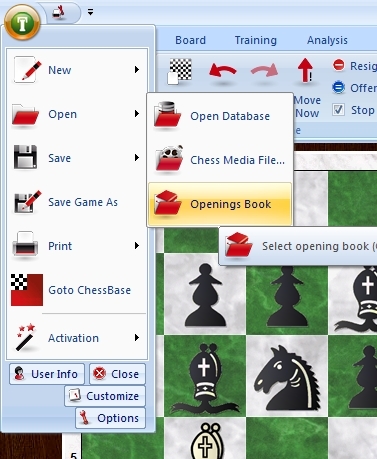 You can add manually add opening lines to Powerbook if you choose, and Fritz’ “learning” functions will cause your chess engines to prefer or avoid particular opening variations based on the engines’ past performance in the games they’ve played on your computer. So how do you get the Powerbook’s files (yes, plural) from the DVD to your computer’s hard drive? We’ll look at two methods, using ChessBase 11 (the easier of the two) and Fritz12. The (hopefully obvious) first step is to put the Fritz Powerbook 2011 DVD into your computer’s DVD drive. Select your DVD drive from the pulldown menu, then double-click on the “Data” folder to see its contents. You’ll find an entry for “Powerbook 2011”; double-click on it to open it. 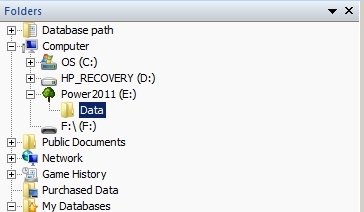 A new dialogue appears which allows you to select a folder to copy it into. Just go ahead and use the default, unless you have a specific reason for doing otherwise. After you’ve selected a folder (or decided that the default selection is acceptable), click “OK” – Fritz12 will then copy the Powerbook files to the hard drive. In the next blog post we’ll look at an analytical use for Powerbook 2011. USCFSales.com has Fritz Powerbook 2011 in stock and available now!